At Spacefreighters Lounge, author Greta van der Rol revealed the cover of her forthcoming sci-fi romance, THE DEMON'S EYE. Check it out! Hear ye, hear ye! Presenting an exclusive cover reveal of author Veronica Scott's latest sci-fi romance, STAR CRUISE: MAROONED! This action-adventure short novel releases officially on Monday, June 22, 2015 at the bargain price of $.99 cents and will be sold digitally at various online retailers. 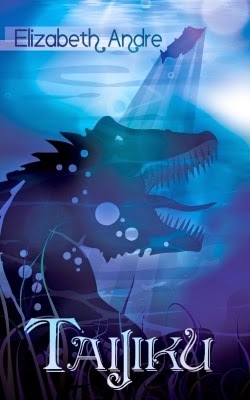 Since many of us read SF/F as well as sci-fi romance, I thought you might be interested to know that Science Fiction and Fantasy Writers of America recently launched a New Release Newsletter. 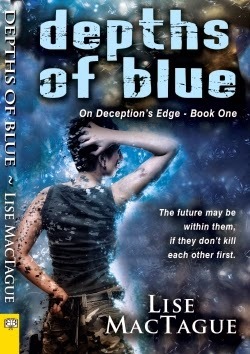 This newsletter will go out every two months, and will feature science fiction and fantasy new releases and backlist rereleases from SFWA members. Each newsletter will contain information on works of all lengths from the talented writers admitted to the premier professional organization for science fiction and fantasy. Anyone can sign up! This is a newsletter for readers, librarians and booksellers to help them find their next favorite story. 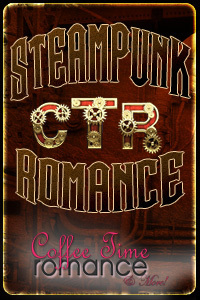 This month at the Coffee Time Romance Steampunk site, I present A Trio of Sampled Steampunk Romances! This is a great problem to have: various steampunk romances at my virtual fingertips and wondering which one to read! So rather than make an immediate decision, I figured, why not do a little sampling? Plus, it would be an opportunity to try some new-to-me authors. Now that I’ve finished sampling the three titles I picked, I decided to share my initial impressions and tag various story elements for you. For your listening pleasure, The Skiffy and Fanty Show featured a podcast about On Science Fiction and Romance w/ Andrea Philips. Have fun! SFR Brigade's Summer Cafe continues this week with the theme of Weird Science! Read fun posts and win groovy stuff. Tonight we interviewed the prolific Anna Hackett, a science fiction romance author from Perth Australia, who has a number of series going. She started with traditional publishing but soon shifted to self-publishing, and she has plenty to talk about for folks who are thinking of adding romance to their science fiction or fantasy.